The above is a 1947 theatrical short, and it marks Rudolph’s first animated appearance and one of the last cartoons Max Fleischer ever produced. Based off of the book, it was made one year before Johnny Marks had written the famous song (although it was edited in later on.) 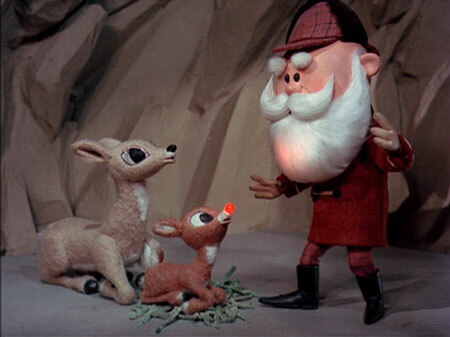 You can read more about Rudolph’s history in full blown post we did for the 1964 Rankin/Bass classic. Long Live Rudolph The Red-Nosed Reindeer!!!! I’m looking for small about 3″ high cartoon figurines of the whole group.